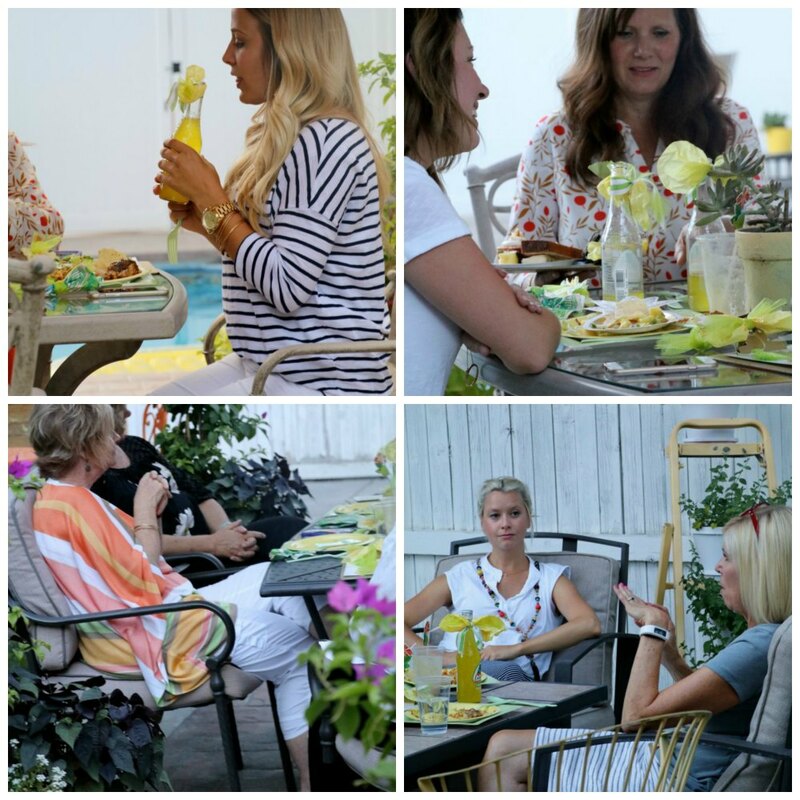 What’s better than gathering some girlfriends together for an evening summer soiree? . 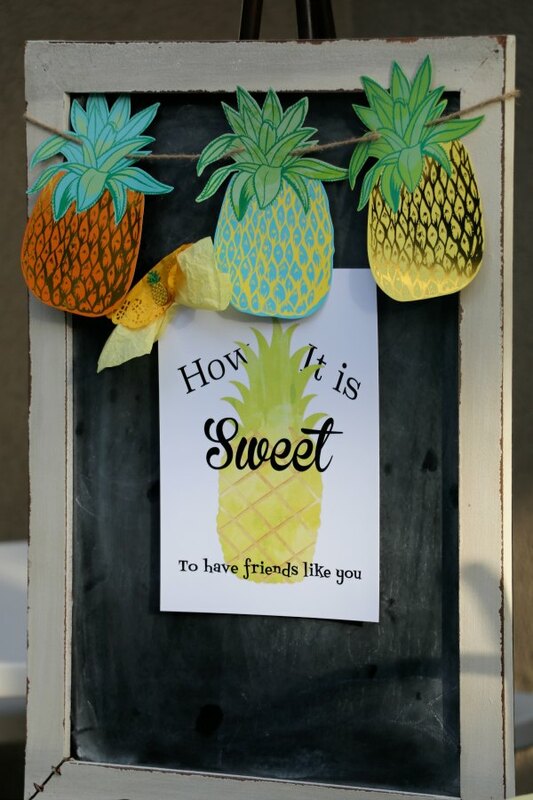 . . Well throw in a “pineapple” theme and it just doesn’t get any sweeter. 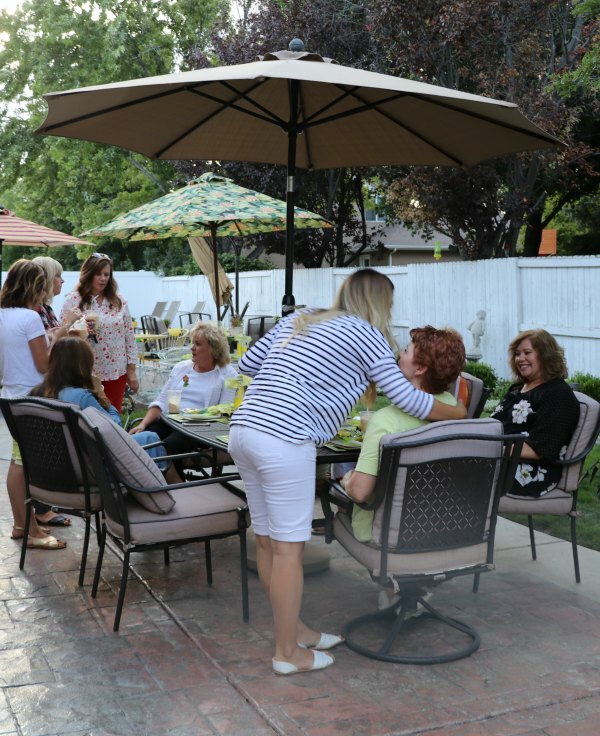 My usual “tea party” tradition took a little spin for a much more casual evening summer soiree gathering. 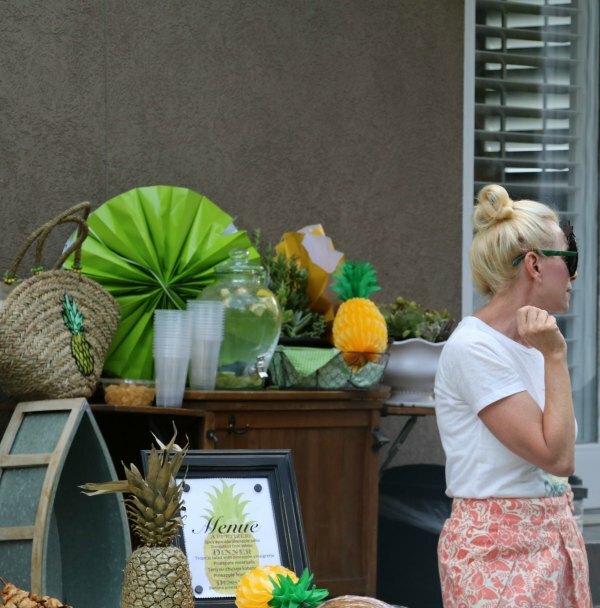 When I first spotted my pineapple printed skirt (two months ago) I knew then I would just have to throw some kind of “pineapple theme” party. 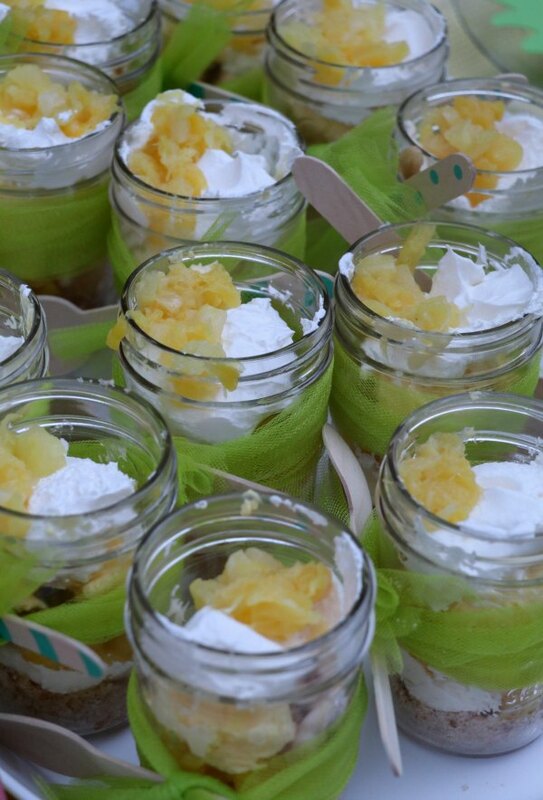 I began to collect a few pineapple goodies and ideas throughout the summer so I could be ready when the time arrived. July proved to be EXTREMEMLY hot here so I decided to wait until August when the evenings cool down a bit. 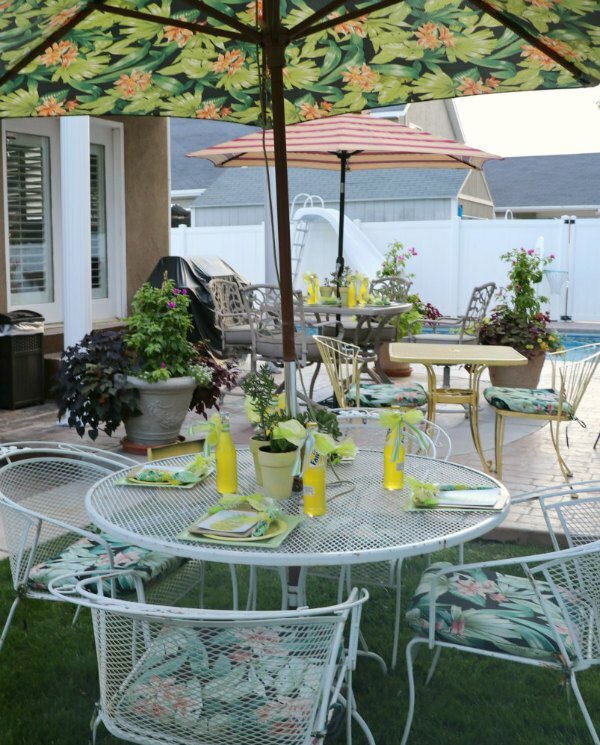 I mean, you can’t really have a summer soiree indoors, right? With the weather forecast looking good, I created a fun invite and sent them out. Then last week I began my fun prepping (I seriously love this part). 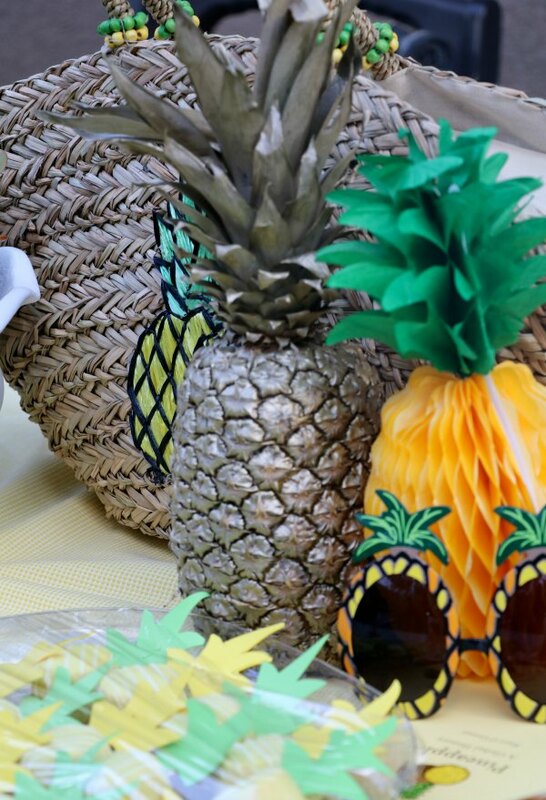 I made pinwheels out of paper lunch bags to match the colors scheme, ordered some paper pineapples, and spray painted real pineapples gold for some table decorations. 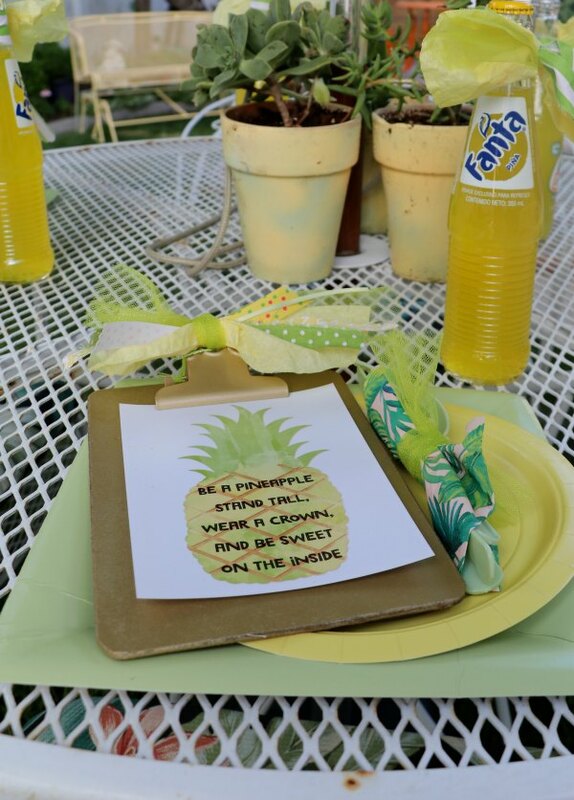 Then I started on my party favors- I created this saying sent them off to the printers (by the way I use persnicking prints and love them), sprayed painted 6 x 9 clipboards gold and then tied a fun junk bow (coffee filter died yellow, and assorted ribbons) and a mini tassel. 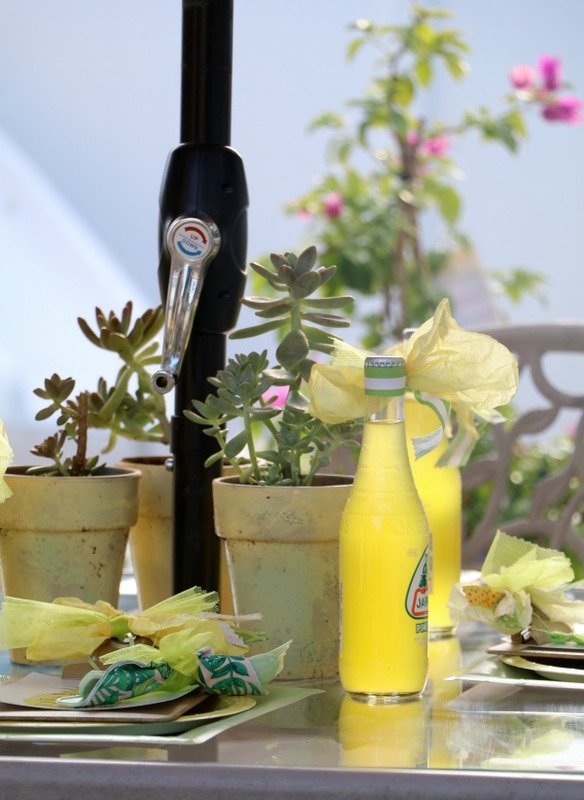 Couldn’t resist buying these fanta pineapple bottles and of course adding a bow to them as well. 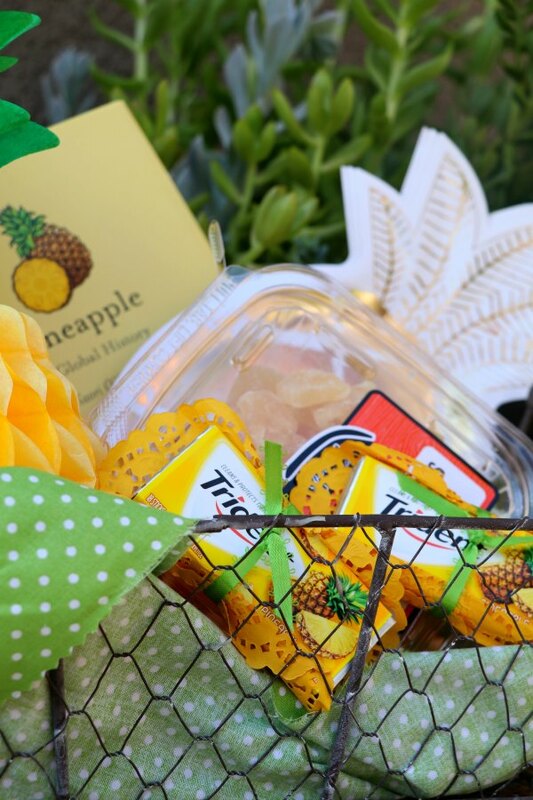 I spotted these pineapple trident one day and tied them up with a gold doily and ribbon as another little take home treat. For the party decorations, well . . . 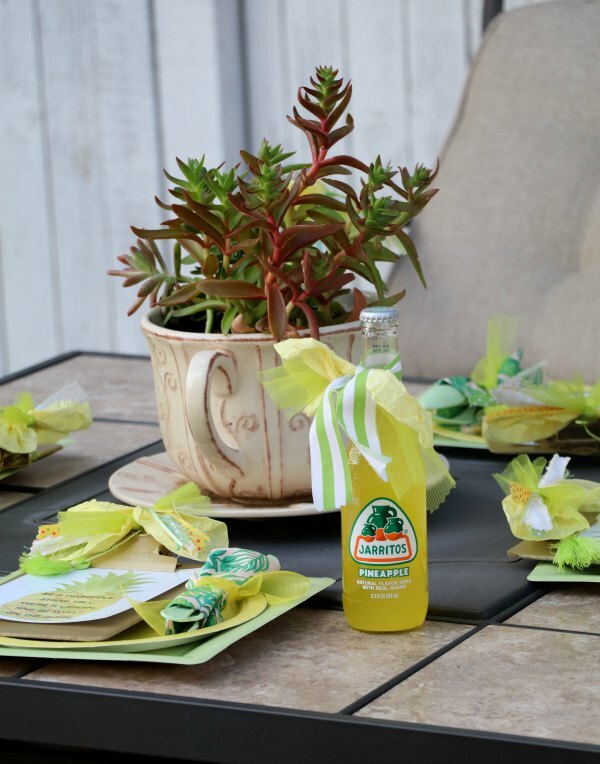 It was held in my back yard and I wanted to keep the atmosphere casual and as natural as possible so I simply just added yellow terra cotta pots filled with succulents on each table. I then added the place settings which . . . drum roll . . . I used paper products because they matched the theme perfectly. I had 18 guests coming for the evening so I used four different tables placed closely around one another so we could all mix and mingle. 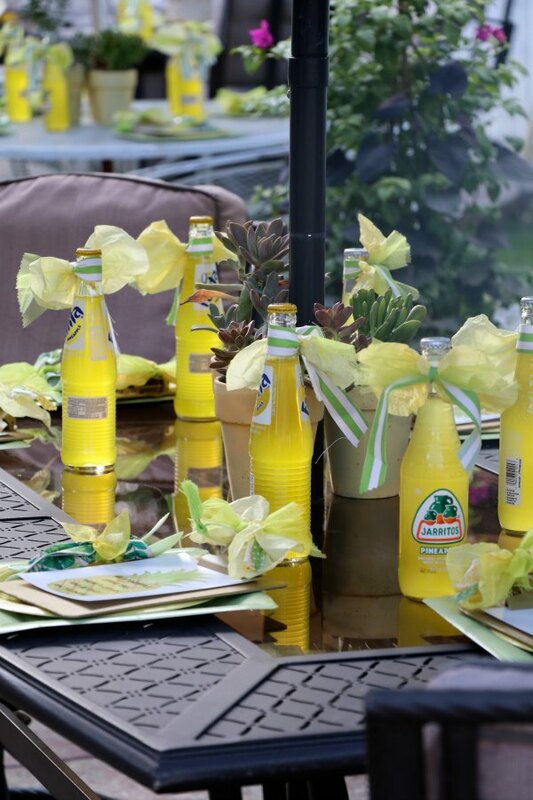 For the serving area I used a long table I covered with a white linen table cloth layered with a shorter yellow one . . . I then placed a large succulent planter in the center and added the gold pineapple and other pineapple accessories until I liked the look. 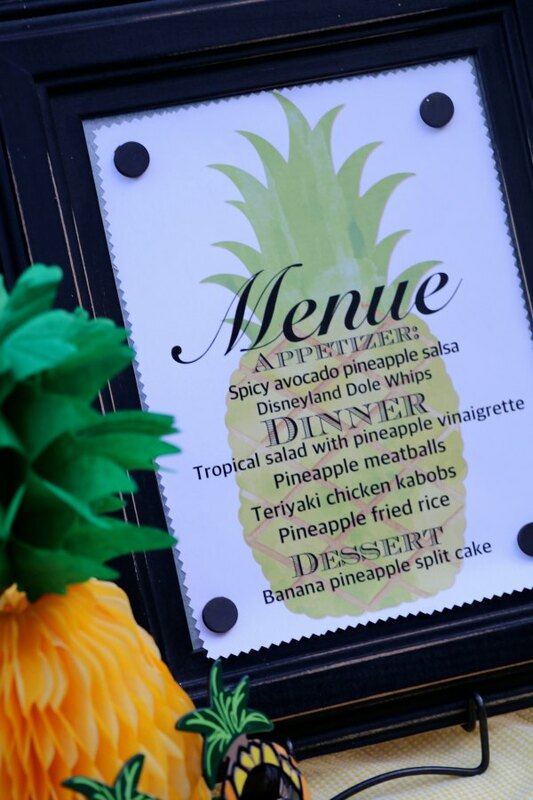 I printed off a fun menu, keeping with the same design I used on the invitation (I used Rhonna design for this) . 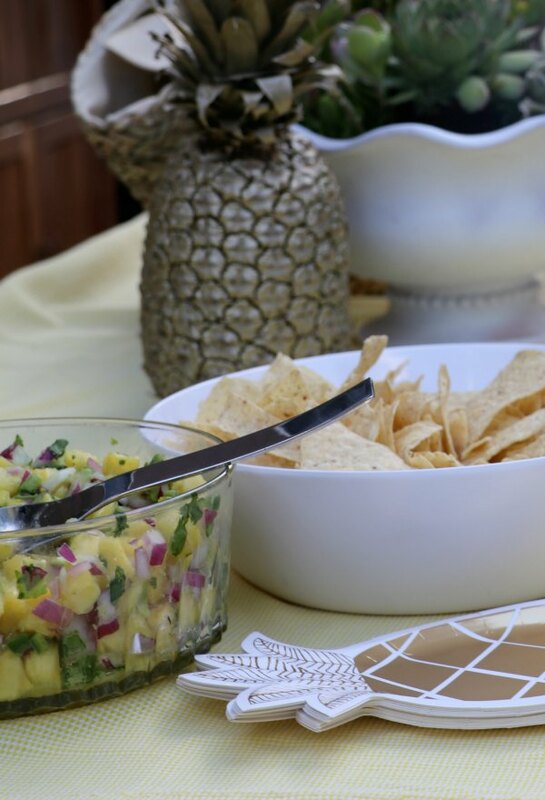 . .
and pineapple salsa to munch on while I brought out the dinner. They were also greeted with a fun sign that kind of says what this evening was all about (once again I used the same design theme). 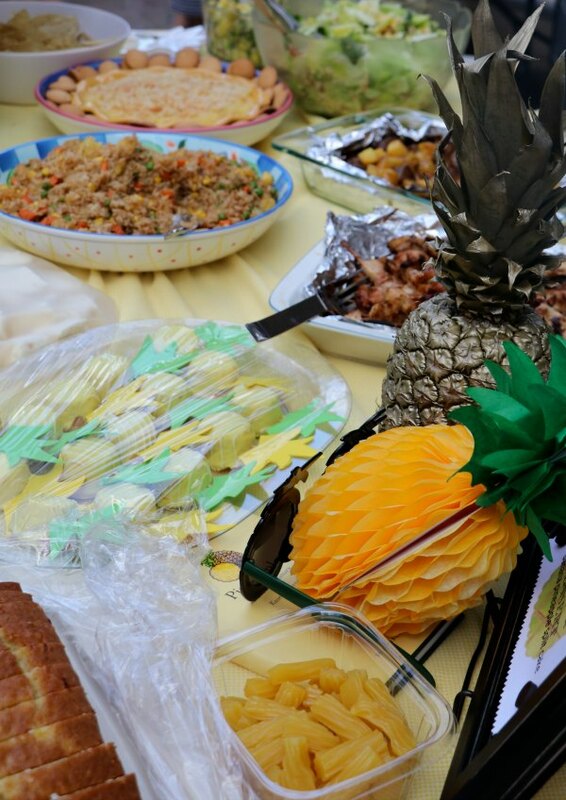 As the food was brought out the serving area looked like Pineapple Heaven. I also had a water station ready for them . 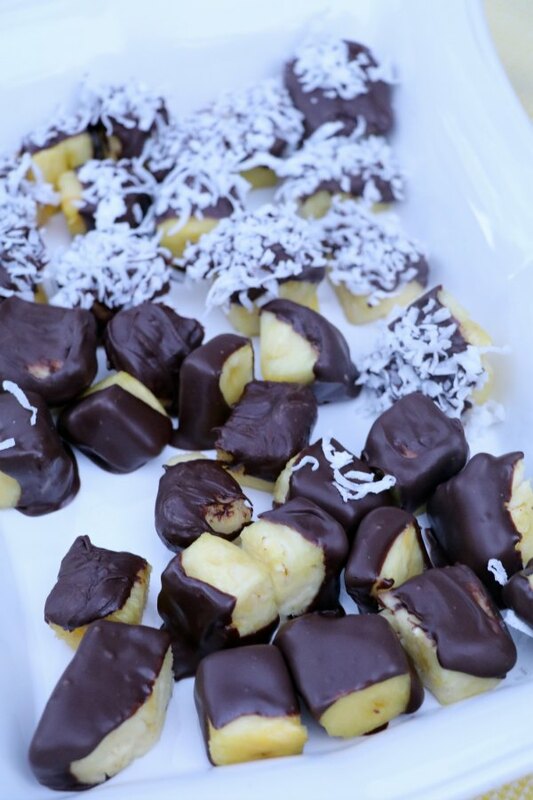 . .
And let’s talk about Pineapple Treats . 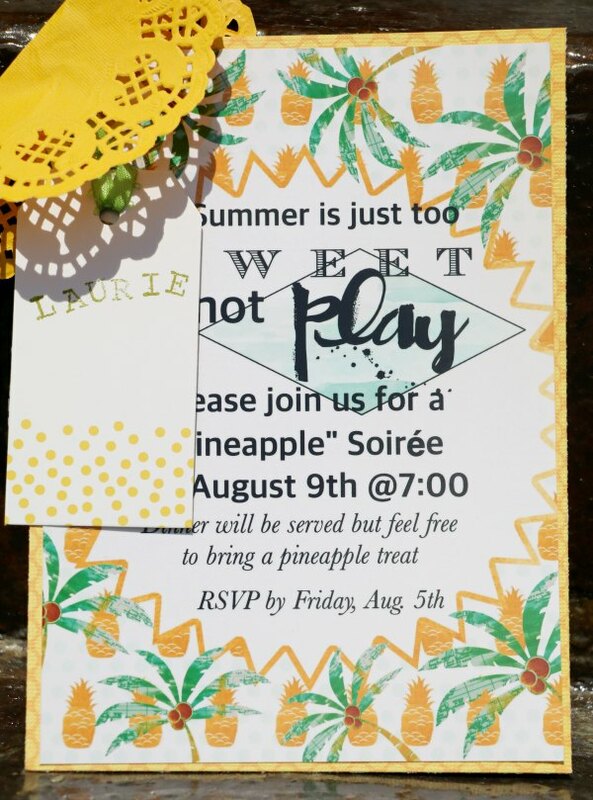 . .
when I mentioned on the bottom of their invite to feel free to bring a pineapple treat, WOW!!! we were full to the brim with just that. 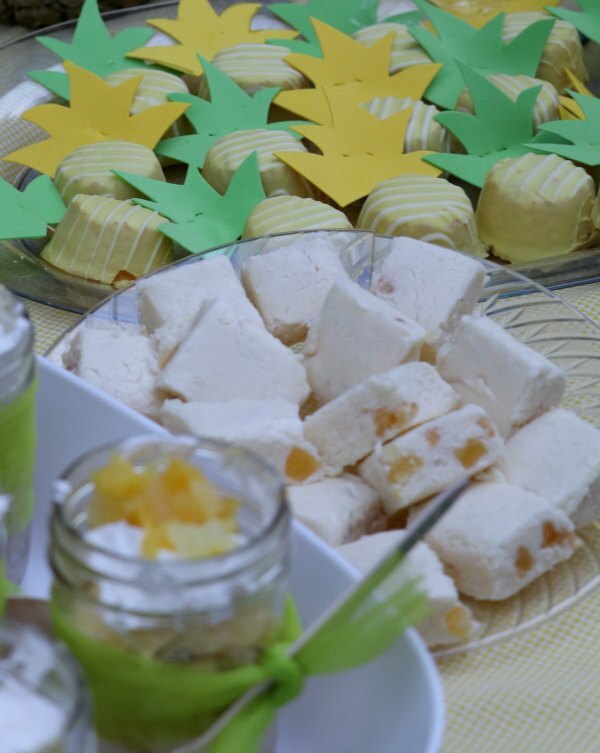 Pineapple cake pops, pineapple coconut cupcakes (we call them Patticakes because Patti makes the best ever cupcakes), pina colada fudge, a pineapple dip, chocolate dipped pineapples and pineapple licorice. But once again, the best part . . .
Savoring and enjoying the time I get to spend with these incredible women I get to call friends. How fun, Trina! 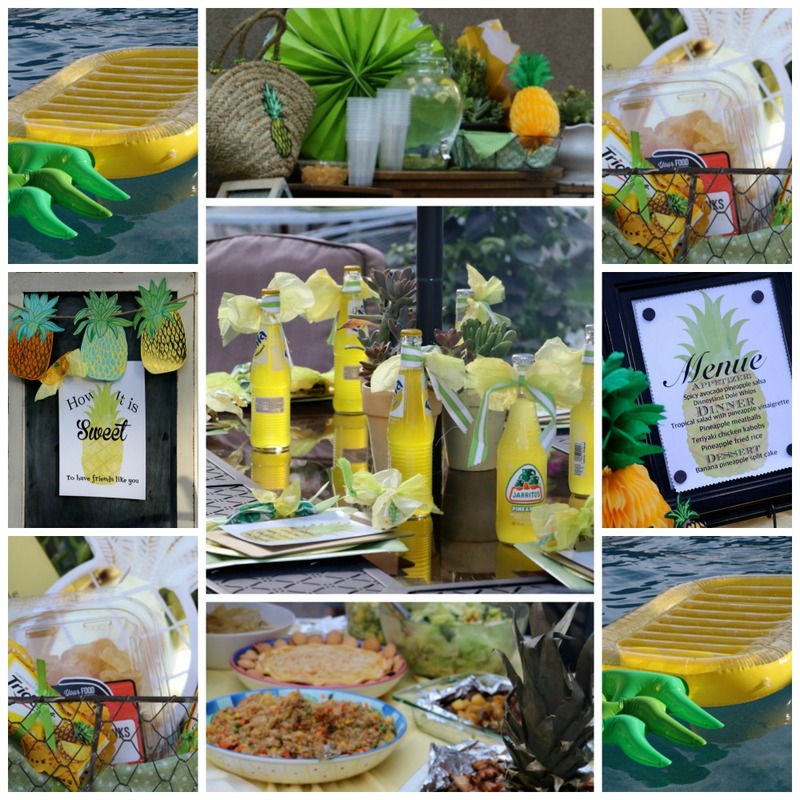 I love pineapple parties and yours look so festive and fabulous with all those pops of yellow and green! Thanks for sharing! Terrific. As I have said often before, you could make it your business. Such lovely ideas and perfect execution. 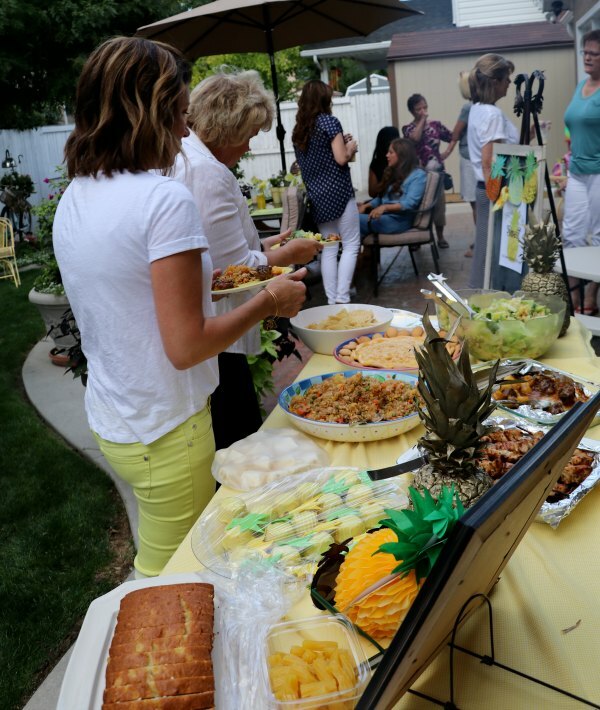 Lovely pineapple partie and delicious looking food. How clever and what fun this is! 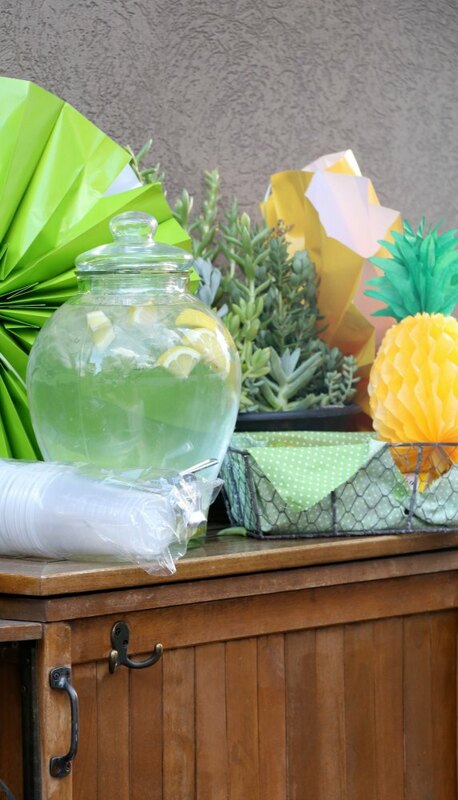 Love all of the pineapple inspired decor and treats, Looks like everyone is having a great time. Great quip too, sweet on the inside, wear a crown and stand tall. Good advice! 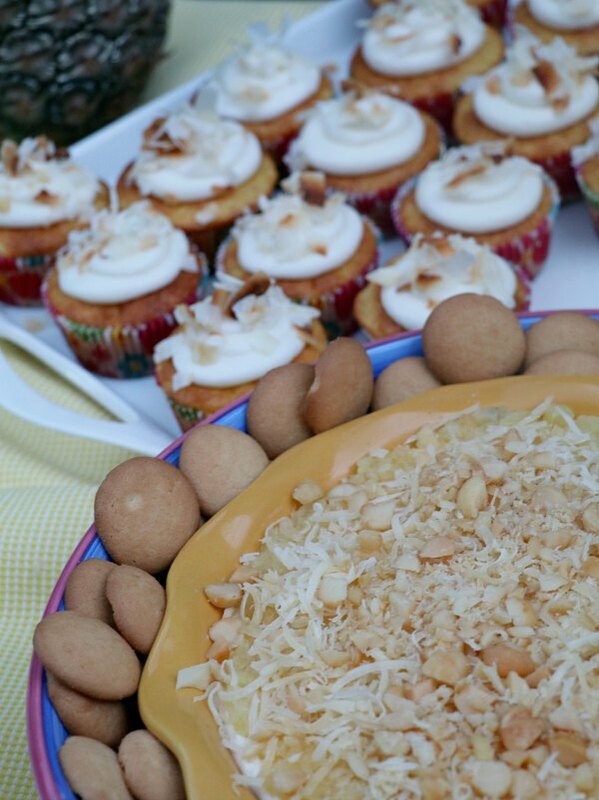 YUM, pineapple cup cakes and piña colada fudge! Do you know how to throw a tea party!! You should write a book, please! What great ideas! 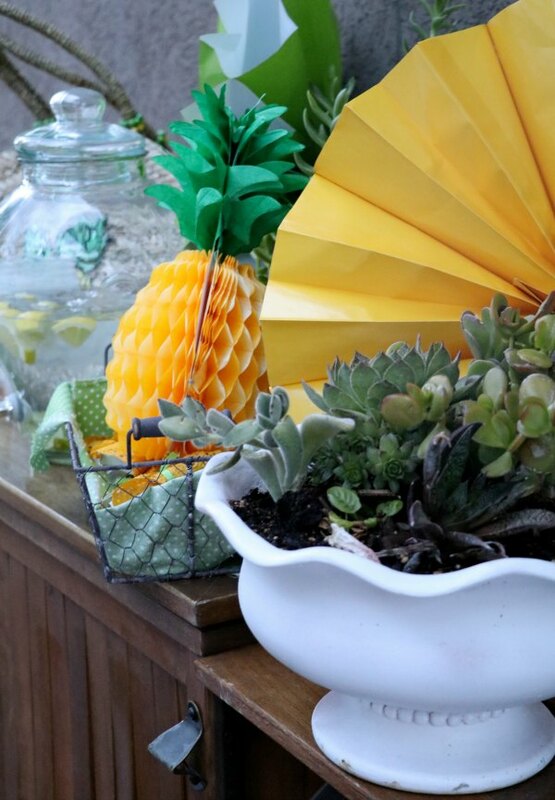 This is a perfect theme for a summer party! Sweetie, you are the Queen of throwing parties! You always go the extra mile. Everything was so fun and the food looks delicious. Who knew there was pineapple soda? Thanks for sharing with SYC.